The summer heat can get the best of us so we go gaga in finding ways to cool down our body. We can go from drinking an ice cold beverage to eating a cup of ice cream or even taking a dip in the pool; and what a delight it brings us just to enjoy these short-lived cooling solutions to ease our bodies from the heat. But the extreme heat is not all there is during summer. As we are often exposed under the sun, our skin can get damaged causing it to dry and darken despite applying a sunblock or a lotion. And the Philippines' humid weather makes it even worse as it can make our skin feel sticky throughout the day. It's as if the heavens heard our woes and bestowed upon us a summer solution that keeps us fresh and fair, without the stickiness, during the hottest time of the year. 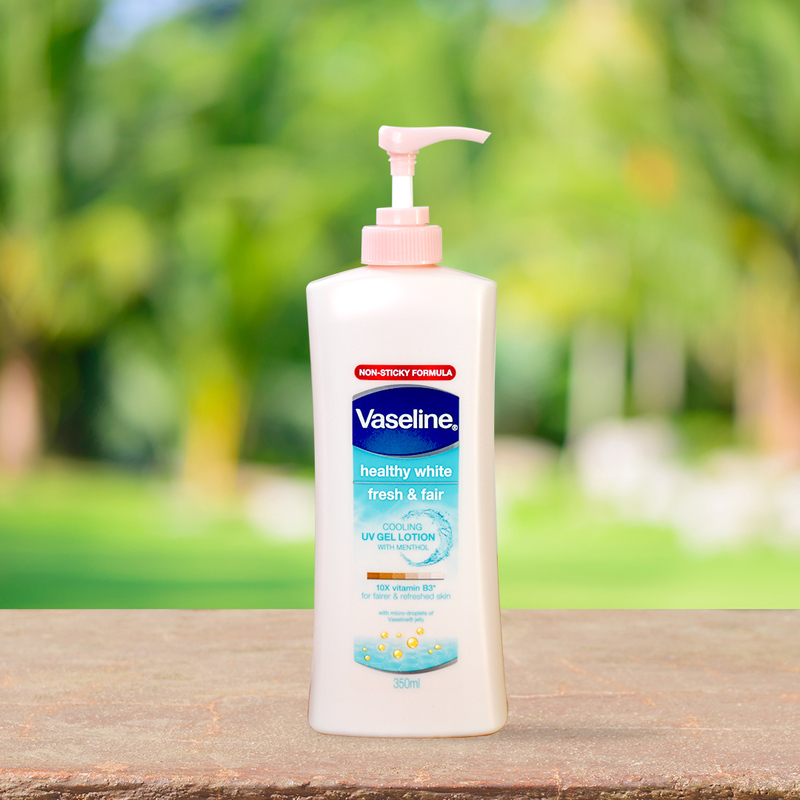 Introducing the NEW Vaseline Healthy White Fresh & Fair Cooling UV Gel Lotion, the first non-sticky lotion specially formulated to be easily absorbed and give a light, non-greasy feeling on the skin. So what makes this different from all the other lotions in the market? It comes in a light, watery consistency with a fresh fragrance that contains 10x Vitamin B3 that restores skin fairness for a fairer and refreshed skin. sunscreens to protect skin from skin damage, and cooling menthol for a long-lasting refreshed skin throughout the day. It is also infused with micro-droplets of Vaseline Petroleum Jelly to repair skin damage from deep within and give your skin the moisture it needs. I put this lotion to the test by using it every day for 2 weeks during my commute to work in order to prove its claims. Our skin goes through a lot during commute as we are exposed to the sun, pollution and other external factors that can make us feel sticky and look haggard even before arriving to where we’re going. 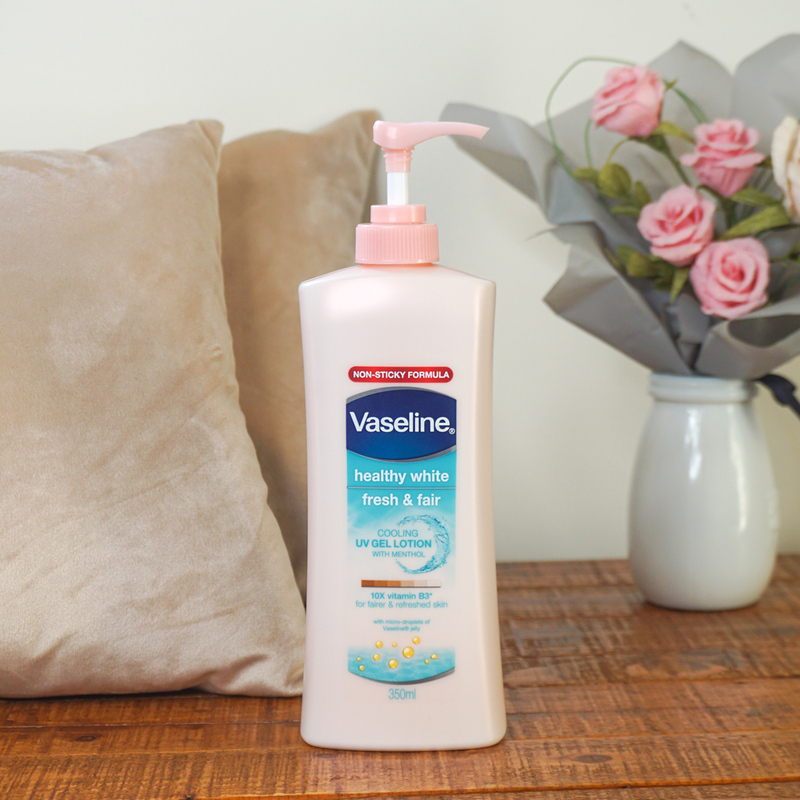 After showering and drying my skin, I applied a generous amount of the Vaseline Healthy White Fresh & Fair Cooling UV Gel Lotion on my skin and was impressed at how I can easily spread it all over my body. It also instantly gives off a cooling feeling due to its menthol ingredient. But what I love the most about this is that it is quickly absorbed by my skin without leaving a greasy and sticky feeling! We all know that the sun shines incredibly bright during mornings but while I was using this lotion, I am not worried about stepping out under the sun and commuting all the way to work. Despite the jeepney being jam-packed with passengers in the blazing heat, I did not feel sticky or hot at all. I felt a cool breeze on my skin every time the wind flows inside the jeepney. I really love that I would arrive to work still feeling fresh and looking less haggard! During the 2 weeks that I've tried this product, I noticed that my skin is slowly becoming visibly lighter. Thanks to its 10x Vitamin B3 content! It also helped keep me feeling cool and refreshed all day under the hot and humid climate with the help of its added cooling menthol. Plus, it has added sunscreens to make sure that our skin is protected from harmful UV damage from the sun. I am really at awe with this product. It effectively delivers its promise of keeping me fresh and protected without the sticky feeling. 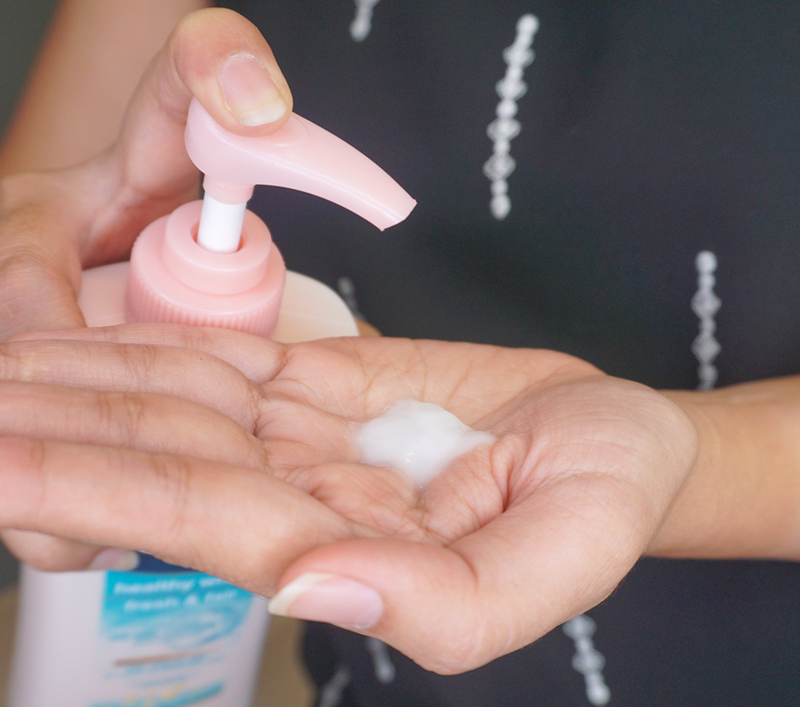 And provided that it is a lotion, Vaseline Healthy White Fresh & Fair Cooling UV Gel Lotion gives me all the fairness and protection while making my skin smoother, softer, and more supple with #NoStickySituations! It such a relief to finally find a product that can cater to my skin needs this summer. Now, I don’t need to hide from the sun as I’ve got this trusty lotion to keep me cool and fragrant all day! Truly, a heaven-sent! You can easily find this in all leading department stores, supermarkets and drugstores nationwide in 100ml, 200ml, 350ml bottles for Php116.00, Php202.00, and Php318.50 respectively. Or you can try it first here for FREE!